Downloading files through the Firefox browser all seems fairly straightforward. You click on a link, possibly choose where to save the file, and wait for the file transfer to be completed. You have much more control over this process than you probably realize, however, as the browser offers the ability to tweak several download-related settings. This can be achieved behind the scenes through Firefox's about:config preferences, and we show you how it's done below. 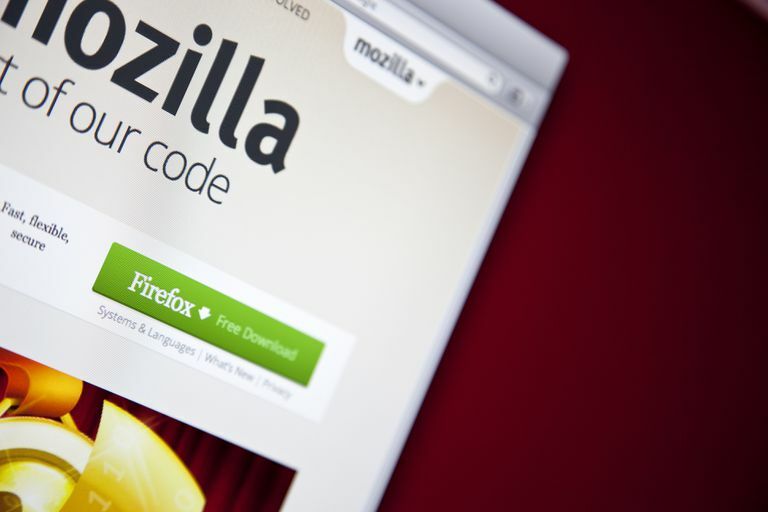 This article is only intended for users running the Mozilla Firefox browser. The about:config interface is very powerful, and some modifications made within it could have serious effects on both your browser and system's behavior. Proceed with caution. First, open Firefox and type the following text in the browser's address bar: about:config. Next, hit the Enter key. You should now see a warning message, stating that this may void your warranty. If so, click on the button labeled I'll be careful, I promise! A list of Firefox preferences should now be displayed in the current tab. In the Search field provided, enter the following text: browser.download. All download-related preferences should be visible. To modify the value of a preference that has a boolean type, simply double-click on it to instantly toggle true or false. To modify the value of a preference that has an integer or string type, double-click on it and enter the desired value in the pop-up dialog box. The following preferences dictate Firefox's download-related behavior and can be modified accordingly. Summary: When set to true, the Downloads button (represented by a down arrow icon) in Firefox's main toolbar becomes animated while one or more file downloads are taking place. This animation includes a miniature progress bar. This preference does not seem to be honored in newer versions of the browser. Summary: When set to 0, Firefox will save all files downloaded via the browser on the user's desktop. When set to 1, these downloads are stored in the Downloads folder. When set to 2, the location specified for the most recent download is utilized again. Summary: If a particular plugin does not have one or more file extensions associated with it, Firefox will not list it as an option when prompting what action to take with a downloaded file. If you would like all plugins displayed in the Download Actions dialog, even those without any inherent file extension associations, then you should change the value of this preference to false. Summary: Only applicable to users running the Windows operating system, Firefox adds all recently downloaded files to the OS's Recent Documents folder. To prevent files downloaded through the browser from being added to this folder, change the value of this preference to false. Summary: Firefox has the capability to resume file downloads that have been paused. The value of this preference, measured in milliseconds, dictates how long the browser should wait after your computer returns from hibernation or sleep mode to attempt to resume any paused downloads. Summary: When a download or multiple downloads are taking place, Firefox will not show the pop-out panel detailing the progress of each file transfer unless you proactively click on the Downloads button in the browser's toolbar. However, if you set the value of this preference to true that panel will automatically appear, overlaying a portion of your main browser window, as soon as a download begins. Summary: The filename of most downloads matches what can be found in the URL for the download itself. An example of this would be http://browsers.lifewire.com/test-download.exe. In this case, the filename is simply test-download.exe and would be saved as such on the hard drive if we chose to download this file. However, some websites use a Content-Disposition header field to specify a filename different than the one found in the URL. By default, Firefox will request this header information for 4000 milliseconds (4 seconds). If it does not retrieve a Content-Disposition value within this timeframe, a timeout will occur and the browser will resort to the filename specified in the URL. If you would like to lengthen or shorten the amount of time it takes for this to occur, simply change the value of this preference. Summary: Similar to the browser.download.hide_plugins_without_extensions preference described above, this entry also influences the behavior of Firefox's Download Actions dialog. By default, associated file types and available actions are displayed next to each installed plugin. If you would like to stifle this display, change the value of this preference to false. Summary: Whenever a download is initiated through Firefox that file will be saved in the location specified in the browser.download.folderList preference, detailed above. If you wish to be prompted for a location each time a download begins, change the value of this preference to false.